Two days ago, the Economist published an article (The enemy of my enemies, July 23),which includes a new Schrank cartoon. The article argues that warming relations between Egypt and Israel “has left the Palestinians, whose fate once topped the Arab agenda, feeling abandoned”. It also ominously warns that “with the Arab world focused elsewhere, America in the throes of a presidential race and progress towards a two-state solution halted, [Palestinians] may see no other way to capture the world’s attention” other than a to start a new violent intifada. 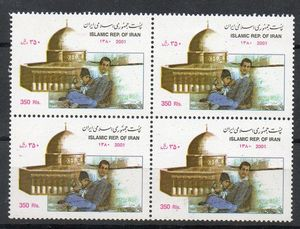 To the left of Bibi and Sissi is a scene evoking the Al-Durah Affair, an incident involving a 12-year-old Palestinian boy named Mohammed Al Durah who purportedly died as the result of IDF fire while crouched in front of a wall with his father at the Netzarim Junction in Gaza on Sept. 30, 2000. 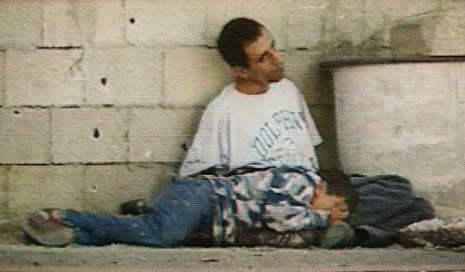 Despite the fact that claims the boy was killed by IDF fire that day – based largely on an entirely inconclusive 59 second video clip aired on France 2 – have been significantly discredited, it nonetheless became (and continues to be) an icon of Palestinian “martyrdom” in the Arab and Muslim world and a representation of the lethal narrative in the West that Israel murders innocent kids. The founding example that launched the now-long list of “Astoundingly Stupid Statements of the 21st…” was a colleague’s response to the suicide terror campaign of the early 21st century: “What choice do they have?” It is the paragon of “humanitarian racism,” or the attitude that “lesser peoples” are not capable of moral agency, who have “no choice” but to behave violently, and we (in this case Israel) are responsible for their violence. If only we paid attention to the poor Palestinian victims of Israeli aggression, then they might not be violent. Note how the two-dimensional image of the Palestinians this humanitarian Economist piece takes for granted, is one whose strategy is to get the world’s attention in order to tell their victim narrative, and turn that opinion against Israel, forcing her to make concessions. In other words, it’s a “Palestinian people” who, like some force of nature, are about to get violent. Bibi and Sissi buddy buddy is just more misery for poor them. 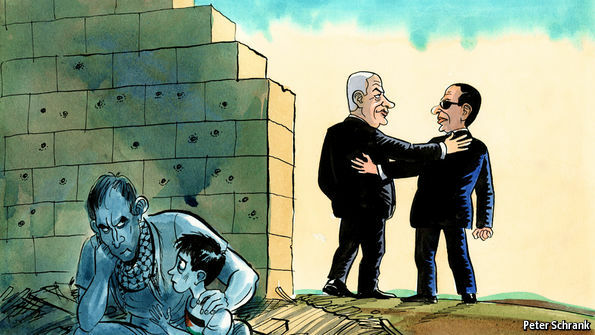 Though Economist editors (and cartoonists) no doubt fancy themselves sophisticated and progressive, and part of an elite group of opinion leaders not prone to voicing “astoundingly stupid” ideas, the textual and graphic depiction of Palestinians in the article parrots the same regressive racism of low expectations which, as much as any other factor, embodies the mindless sloganeering of the radical left. The lower the standard of morality the Palestinians sink to, the more sympathy they get from these morally confused sophisticates and elite humanitarian racists.